We are one of the topmost manufacturers, suppliers and exporters of Heat Exchangers & Finned Tube. Our finned tubes are known for their large heat transfer surface, dimensional accuracy and high resistance against thermal and mechanical loads. 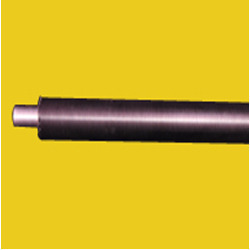 We are one of the topmost manufacturers and exporters of Heat Exchangers & Finned Tube. We offering a wide range of products to our customers including the Extruded Finned Tubes, L Finned Tubes, LL Finned Tubes. Our finned tubes are known for their large heat transfer surface, dimensional accuracy and high resistance against thermal and mechanical loads.